The grandfather of six is preparing to compete in the first walking football international match. TOMMY CHARLTON IS set to follow in the footsteps of brothers Bobby and Jack and represent England when he plays for the over-60s walking football team against Italy on Sunday. The grandfather of six is preparing to make his England debut at the age of 72 in Brighton in the first walking football international match. England are set to play in a red strip, similar to the kit worn by Charlton’s famous older brothers in the win over West Germany in the 1966 World Cup final at Wembley. “I never in a million years thought that I’d follow in the footsteps of my brothers and represent England,” said Charlton. The sport has very specific rules, with no running allowed. 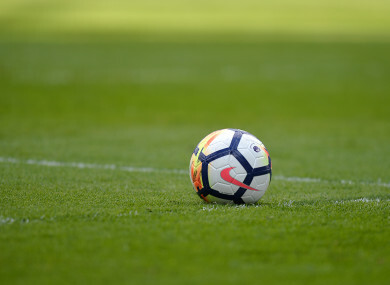 Now played in more than 30 countries, walking football is also set to hold its own world cup and European championship, both in England over the next two years. “Walking football is a sport that has given me so much,” said Charlton, who was just 20 when he watched his two older brothers help England beat West Germany 4-2 after extra-time. Email “Third Charlton brother poised for England debut, aged 72”. Feedback on “Third Charlton brother poised for England debut, aged 72”.